Charlie Becker, The EAA’s Director of Communities & Homebuilt Community Manager sent us a note, that the EAA has released a 7 minute film on you tube, a condensed version of the full length shoot they made about Corvair College #27 at Barnwell SC in 2013. This is timely, because we are leaving for Corvair College #31 at Barnwell in another 16 hours. 6 Responses to New EAA video on Corvair College#27, Barnwell 2013. Great video. Really captures the feel of the colleges. They are so much fun and so educational. Hate to miss CC31 this year but we’re stoked for 32! Very well done. Now I really want to attend a college!! Even though I’ve successfully built and am flying my engine I know I could learn more at a college. Someday…….. I was at CC#27 and i’m headed to CC#31 in 2 hours! Looking forward to learning a lot more! 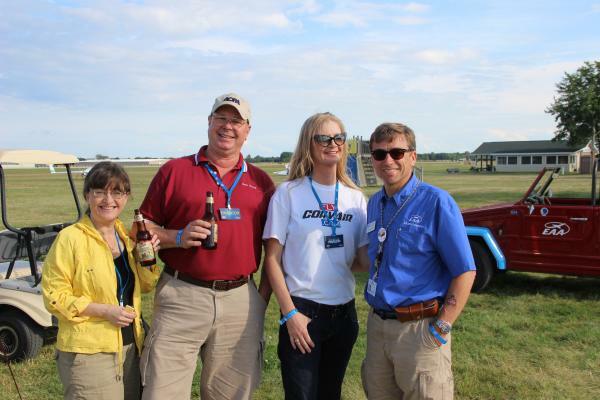 Re Charlie Becker: Exactly the kind of person that needs to be in charge at EAA! Honor to the current powers for what they bring, but EAA has got to make a 180 and get out of the IMC of commercialism it has flown into…just sayin’. SC? I have an old VP2 I’m restoring. I am going to install a Corvair motor. I haven’t flown in years and I have never flown a VP. I really would love to attend. I will be bringing 1 if not two engines. I am looking to buy a second one for my brother. And he may join me.